Others platforms, however, have put their services completely on hold – one such company just announced this a few days ago. With app building websites charging more for the same product, or turning their backs entirely on new customers, there’s one clear alternative to app stores emerging that answers all of the needs of these entrepreneurs, and more: Progressive Web Apps. Developing bespoke native apps can be an incredibly expensive endeavour, especially when you add the on-going maintenance costs that are a part of it. That’s why many SMEs and entrepreneurs have turned to DIY solutions. This has completely changed the way in which app building platforms are operating, and none of the changes seems to really benefit the users. 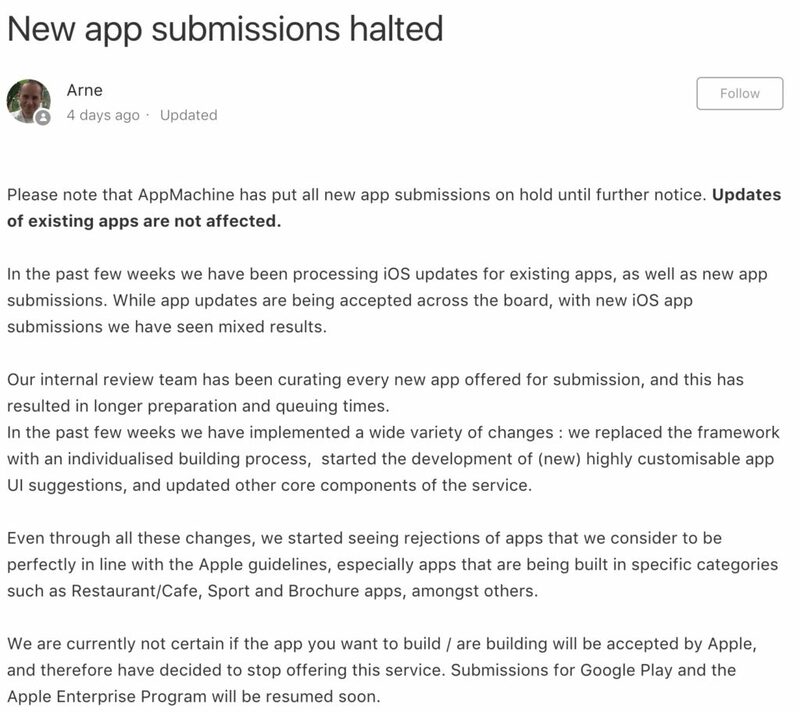 At the end of the day, if there are added costs to publishing an app on the App Store, it’s very likely that not many companies are willing to absorb that cost themselves, ending up shifting it to their customers. What other way, then, is there for people without technical skills and / or big budgets to create a mobile app by themselves? Progressive Web Apps are a relatively new player on the mobile app market, but they have been making big waves. One of their strongest points is the fact that they bypass app stores entirely, and that has become particularly relevant after the aforementioned new guidelines were introduced. At Beezer.com we have taken a step further, and made it super easy for anyone not only to create their own PWA with our app builder, but also to manage and distribute in a variety of ways, including via url, SMS, email, website widget or even QR code. Say goodbye to the hassle brought by the app stores and get straight in your customers’ hands. But there’s more to business app builder than just getting past the app stores – our platform requires no technical skills in order for you to create an app. With our solution you have great control over the look and feel of your app, and components like Push Notifications and social media integrations ensure that you are communicating with your users effectively. If you’re managing a business or brand with limited resources available, and can’t really afford to have a bespoke mobile app for you, Beezer’s got you covered. We are offering a 30-day, fully featured trial for everyone to try out our platform – you can sign up today and get started on your new mobile app immediately with our alterntive to app stores. After the trial expires, you don’t need to worry – there are no hidden costs for our product, and the work you’ve done during your trial period won’t be lost. You simply have to choose from one of our incredibly competitive plans, and you should be good to go.